Until today, everyone who wanted access to Salomon’s skis and boots – without having to use adapters or plates – had to select SNS. But that’s all about to change. Salomon has teamed up with Salomon to offer skiers the complete free choice: from 2016 onwards skiers will have a choice of two boot-binding connections from us: SNS for more control, and new Prolink for exceptional snow feel that works with the other primary boot-binding system on the market. First, when you’re cross-country skiing the closer you are to your ski the better your feel, and the stronger your power transfer. Both bindings will offer a low, light and direct connection. 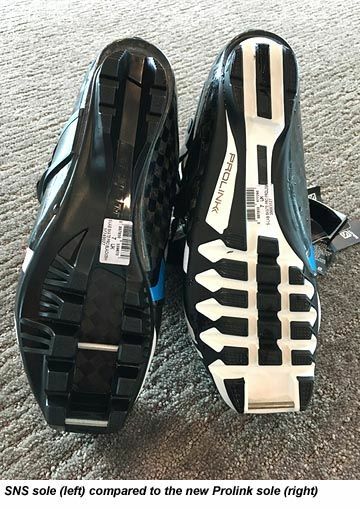 There are no plates or adapters that add height, and Salomon drills the binding straight into the ski (which also means there’s no loose play over time). In terms of difference between the two: the SNS system provides outstanding control from the pilot system (2-axes tech) and the full-length guide ridge. 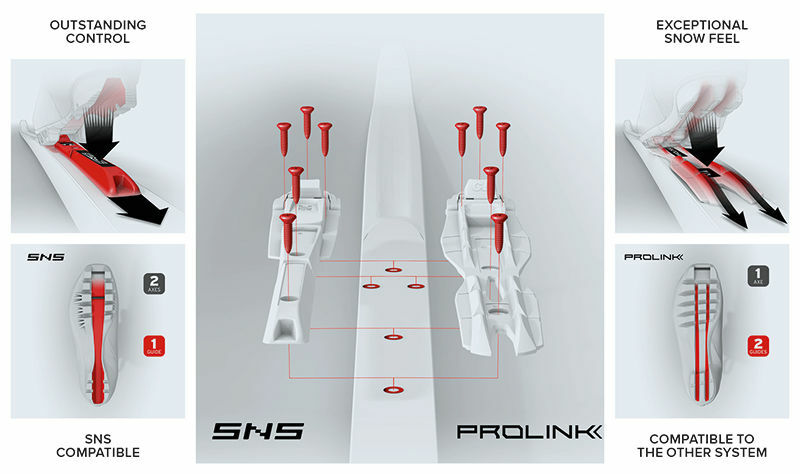 While the Prolink system delivers exceptional snow feel from a very low profile binding. Prolink is a system developed by Salomon, based on a technology that is in the public domain. In addition to its exceptional snow feel, Prolink bindings are compatible with the other primary boot-binding system on the market. This means all Salomon's skis can now work with both systems without the hassle of additional plates or adapters. You are free to choose your system of preference as the boot-binding norm doesn’t matter anymore. And Salomon and Salomon guarantee the quality and compatibility of the Prolink system. All Salomon skis are now pre-drilled for easy mounting of both Prolink and SNS bindings – which have the same mounting pattern. What’s more, as Salomon's skis are made in their own ski factory just next door they do extensive testing to analyse how they work together in Salomon's own development center and on snow. Through this process we can find the perfect mounting position that will achieve the best performance. That is where Salomon pre-drills their skis. For retailers this means that mounting skis is a matter of minutes: there is no drilling needed anymore – and no more risk of mounting the binding incorrectly.